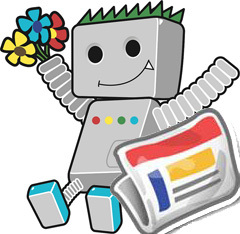 Google announced they are retiring GoogleBot-News and will be now using exclusively GoogleBot for crawling Google News content. Google News recently updated our infrastructure to crawl with Google's primary user-agent, Googlebot. What does this mean? Very little to most publishers. Any news organizations that wish to opt out of Google News can continue to do so: Google News will still respect the robots.txt entry for Googlebot-News, our former user-agent, if it is more restrictive than the robots.txt entry for Googlebot. If you're currently respecting webmaster guidelines for Googlebot, you will not need to make any code changes to your site. Sites that have implemented subscriptions using a metered model or who have implemented First Click Free will not experience any changes. For sites which require registration, payment or login prior to reading any full article, Google News will only be able to crawl and index the title and snippet that you show all users who visit your page. Our Webmaster Guidelines provide additional information about "cloaking" (i.e., showing a bot a different version than what users experience). Learn more about Google News and subscription publishers in this Help Center article. Rest assured, your Sitemap will still be crawled. This change does not affect how we crawl News Sitemaps. If you are a News publisher who hasn't yet set up a News Sitemap and are interested in getting started, please follow this link. Vanessa Fox adds some additional information that this makes it hard for news sites to see how well Google News is crawling their content. Without being able to track Google News Bot vs GoogleBot you cannot differentiate the crawling of the two. Of course, Google Webmaster Tools still gives you crawl and other errors differentiated between web and news crawls - so you do have that. Anyway, this is a change that publishers should be aware of.